Leather is a great material to incorporate into your home decor, it’s textural and looks very chic plus it can fit many styles: from boho chic to industrial. 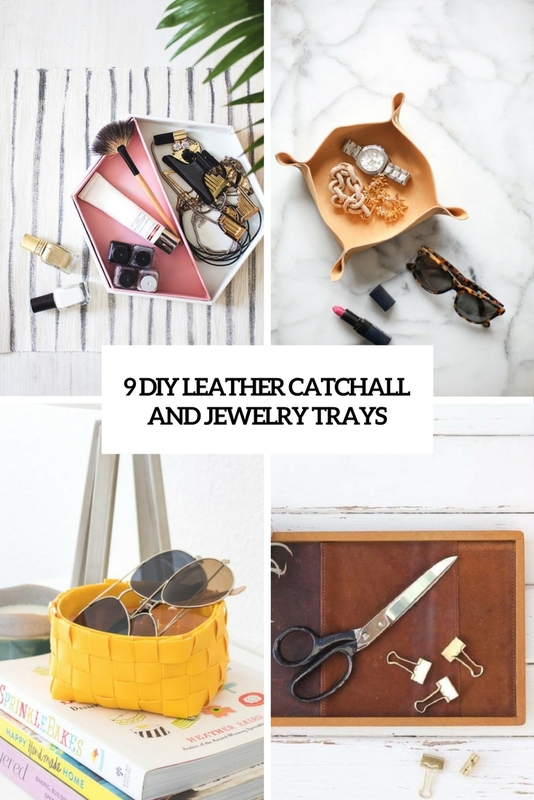 We’ve already shared some cool furniture DIYs where leather is widely used, and today I’d like to show you some minor objects – leather trays. 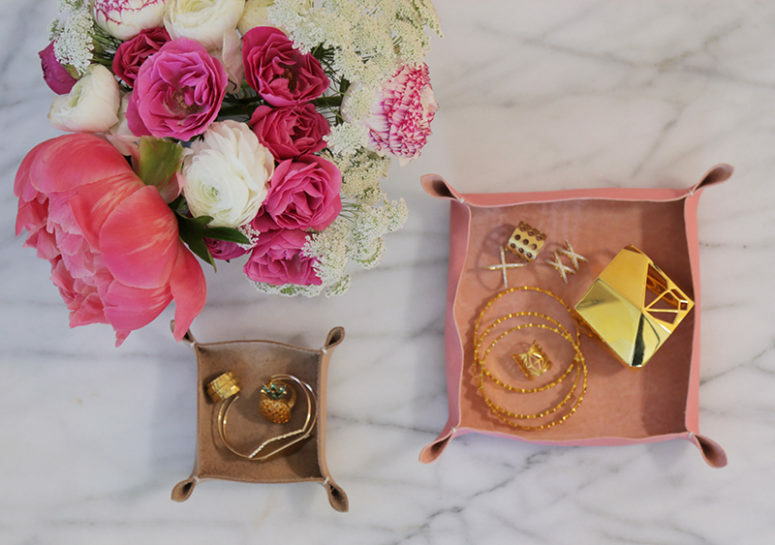 A catch-all, jewelry or vanity tray is a must for every home, both a girl and guy may need it and such a tray looks very eye-catchy if you make it of leather. Besides, it’s a great gift! What, are we waiting for, let’s start! The first piece is a woven leather basket – not very difficult to weave and looks cute. 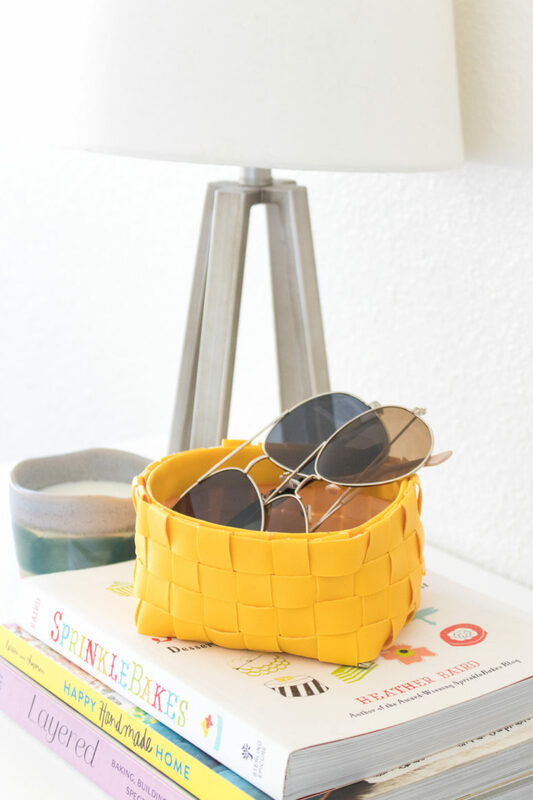 It will be a nice item for any entryway or bedroom, you can store makeup, jewelry, keys and sunglasses there, and if you go for a bold color like yellow, you’ll raise your mood at the same time. The next idea is a handmade valet set of leather, a great idea for any man due to its masculine design. I totally like the eye-catchy shape of these trays and interesting corners, which make them so masculine. Two pieces mean you can use them for different stuff or create a chic layered look in the entryway. 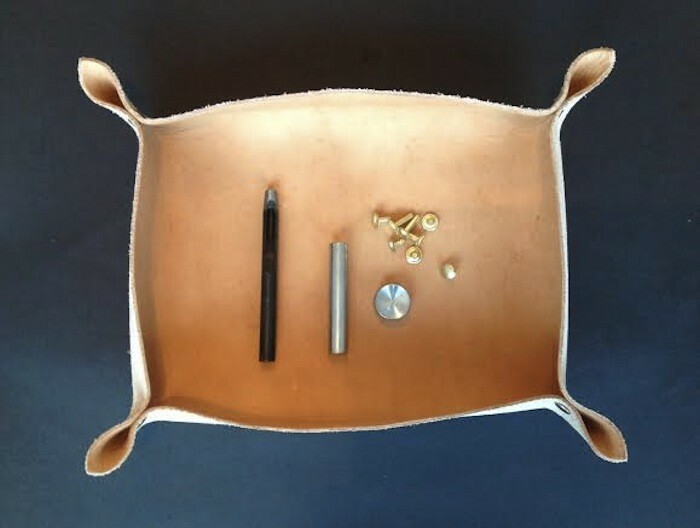 Here’s another great gift for a guy, it’s a catchall leather tray with wooden framing. 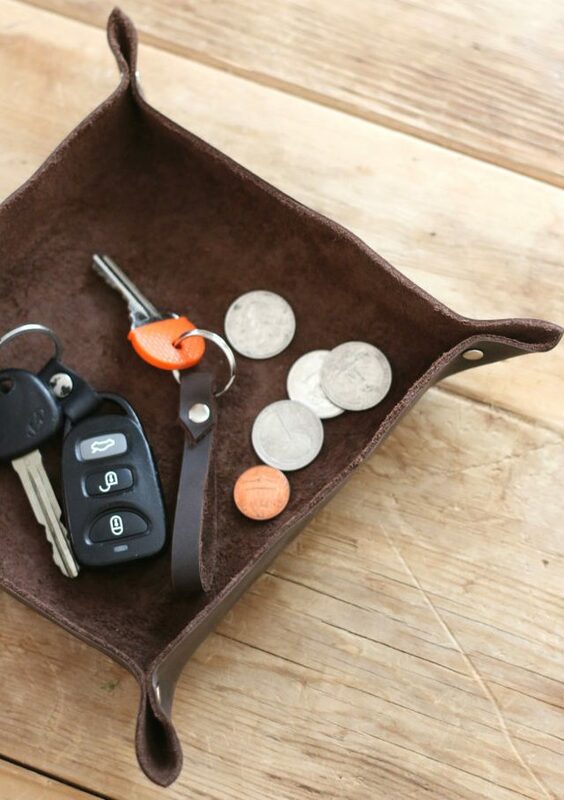 Here you may see different kinds of leather used, you may just take leftovers, for example, an old wallet or several ones and use them to make this tray, this way it will be even more eye-catching. 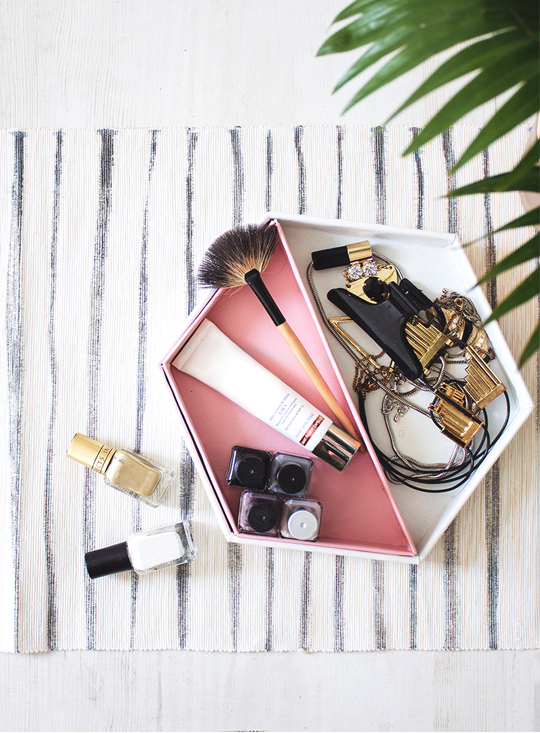 This DIY will tell you how to make a cute girlish vanity tray consisting of two parts. This is a hexagon tray with an inner half-hex part, the larger piece is done in white leather, and the smaller one is pink. You may use them together to put different things there or separately wherever you want. Such a cute idea with that pink part, love it! This tray is rather universal: it can fit both a man’s space and a girl’s one, everything depends on the color of leather you take. The author made the piece of brown leather with rivets, which gave the piece a more masculine look but you may take pink leather, and the result will be very girlish. The eye-catchy shape adds to the interior, enjoy! 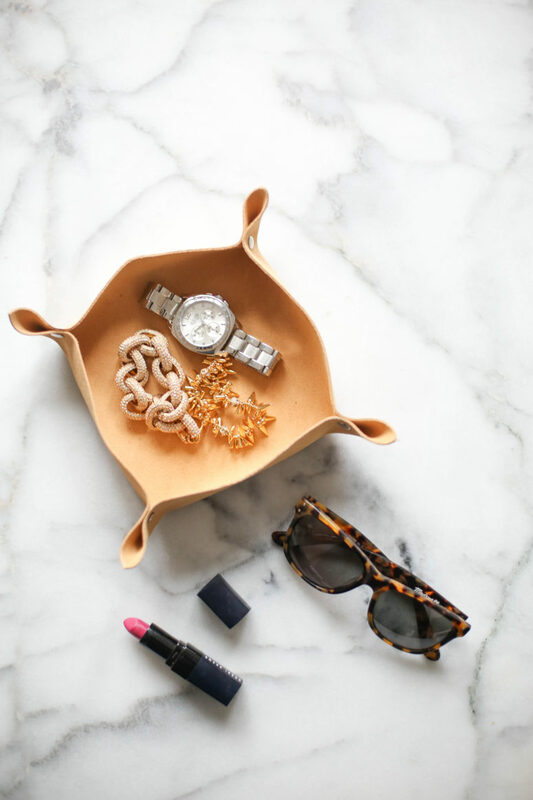 This cute little catchall in beige leather will be a nice idea for any space and can literally catch all – from your jewelry to keys! Of course, you may make it of some other type of leather, not only beige or change the size if you have a lot of jewelry, for example. 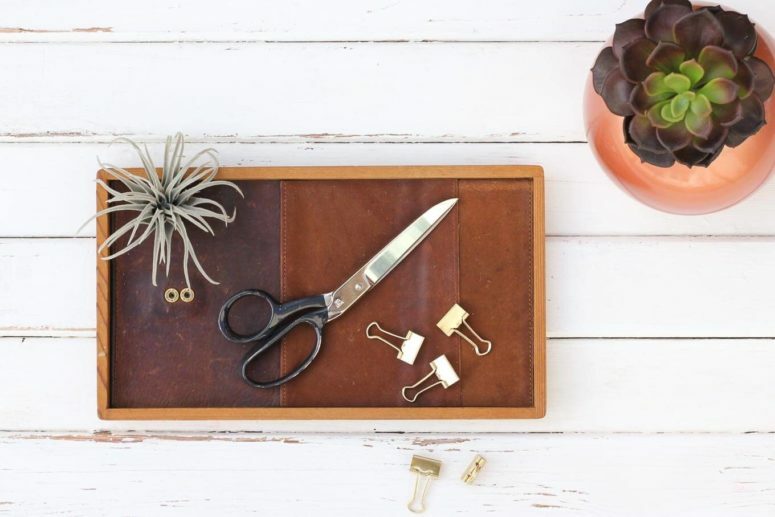 This little leather tray is made of a single piece of leather and will be a nice idea for a workspace – all the little stuff can be placed there! 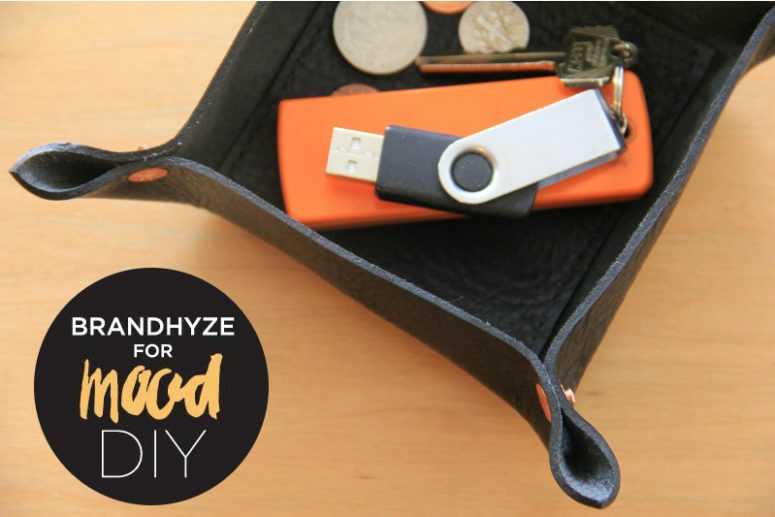 Take a piece of tooling leather in some chic color, for example, white or cream, and make a stylish accessory for your home office. 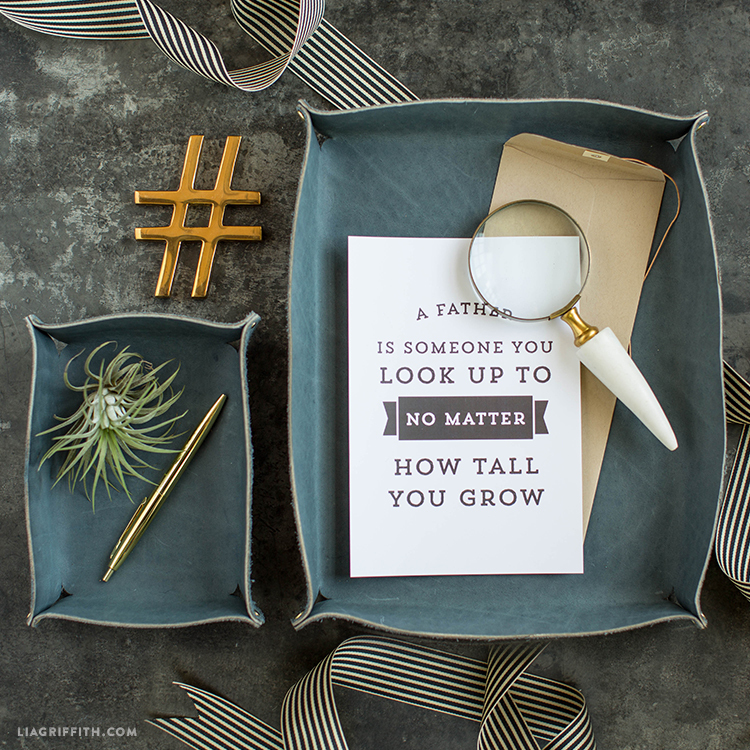 Here’s a chic and bold man’s catchall tray! This little piece is made of black leather and accessorized with copper rivets to make it more contrasting and eye-catching, your man will love that! You’ll need two pieces of leather to make a bottom, and the tray will look even more chic with it. These leather tray duo is made of leather of different colors, with various textures, and to make it look more delicate and feminine, the author offers to use not rivets but usual threads. This is a cute idea for a girlish tray, and if you want, you may also go for sparkly threads.